Success in design today relies on creative presentation. 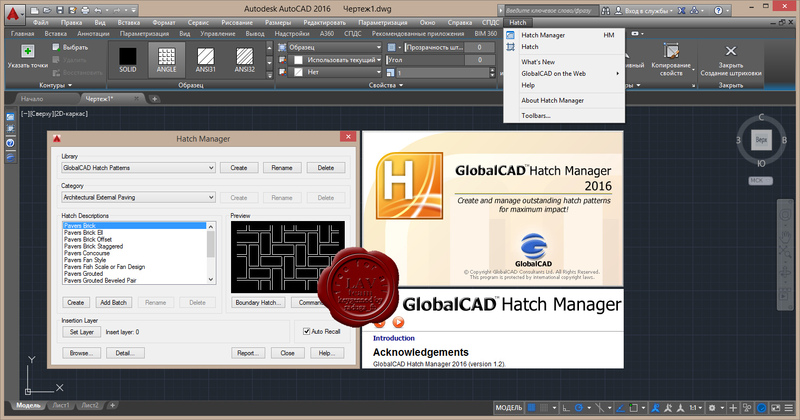 GlobalCAD Hatch Manager gives you the tools to create and manage outstanding hatch patterns for maximum impact! GlobalCAD Hatch Manager provides the solution to all your hatch creation and management needs. You can build entire libraries from scratch, add existing PAT files in seconds or create your own unique patterns from existing drawing objects. The software also links directly into the AutoCAD/BricsCAD Boundary Hatch (Bhatch) dialog, ensuring all your patterns remain fully featured with essential options such as associative, non-associative, edit boundary and pattern re-scaling. 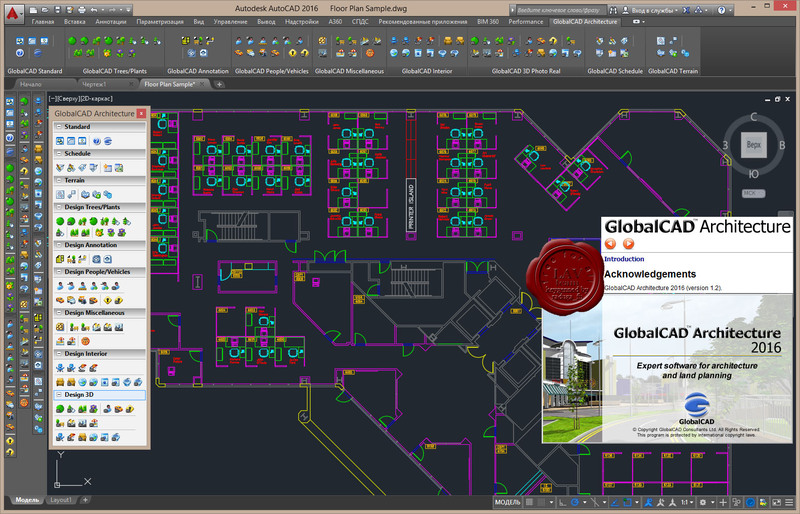 With GlobalCAD Hatch Manager, patterns are organized within distinct libraries with advanced viewing capabilities. They can be identified fast and are accessible right when you need them. Management tools ensure the library database is always up to date, with the ability to view and print pattern details and other library information. Patterns can be contained on local drives or on a network. The essential tools in GlobalCAD Schedule make it easy to create schedules and bill of materials from your drawing data and form dynamic spreadsheet links. Working with schedules and bill of materials are a critical component of any project. Creating these documents presents many unique challenges. Among them are deciding what to schedule, how to format it and most importantly accurately reporting it and keeping it up-to-date. GlobalCAD Schedule provides the effective and reliable solution to all of these issues. Its feature-rich toolset lets you query drawings for block attribute data and save it to a variety of file formats. Unique formatting options mean you can pre-set the style for each spreadsheet and export only the data that's critical to your needs. Keep your Microsoft Excel spreadsheets synchronized with the Dynamic Link option. Dynamic Link feature supports Microsoft Excel 97, 2000, 2003, 2007, 2010 and 2013. Simply edit the current workbook and your drawing updates automatically! Alternatively, you can work on spreadsheets remotely and update associated drawings all at the click of a button with the Import feature. 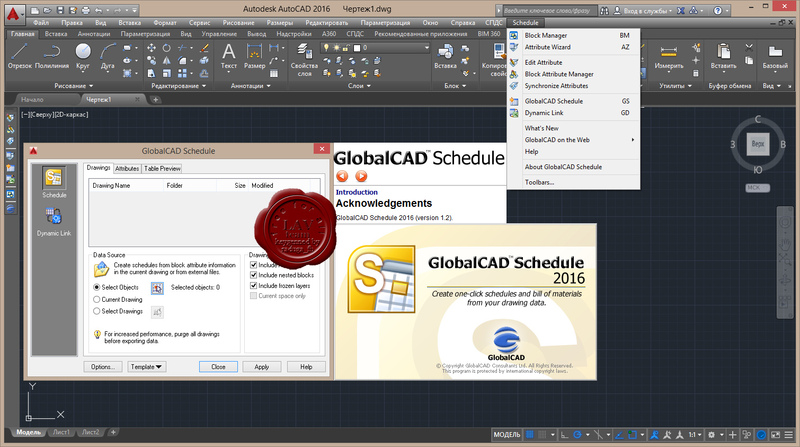 GlobalCAD Organizer gives you tools to create and manage design content for maximum results! 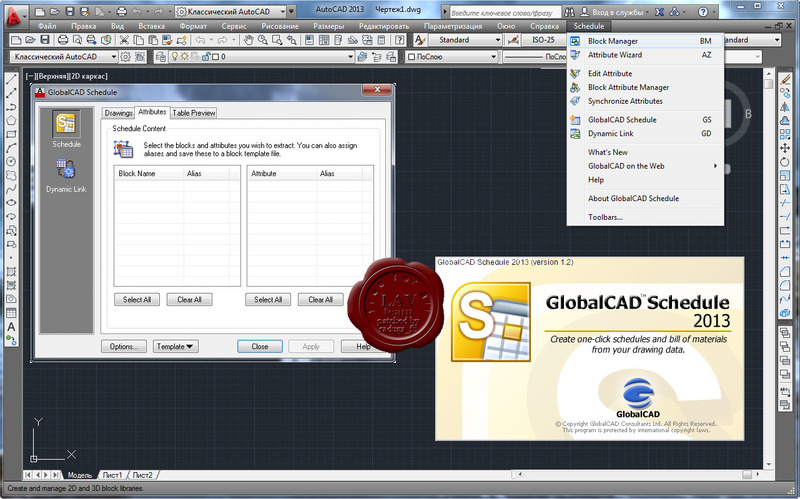 GlobalCAD Organizer gives you the tools to create and manage drawing objects like never before! Its unique object-authoring suite includes Block Manager, Hatch Manager, Linetype Wizard and Attribute Wizard. Now you can instantly publish intelligent block libraries, stunning hatch patterns and complex linetypes from existing drawing content. 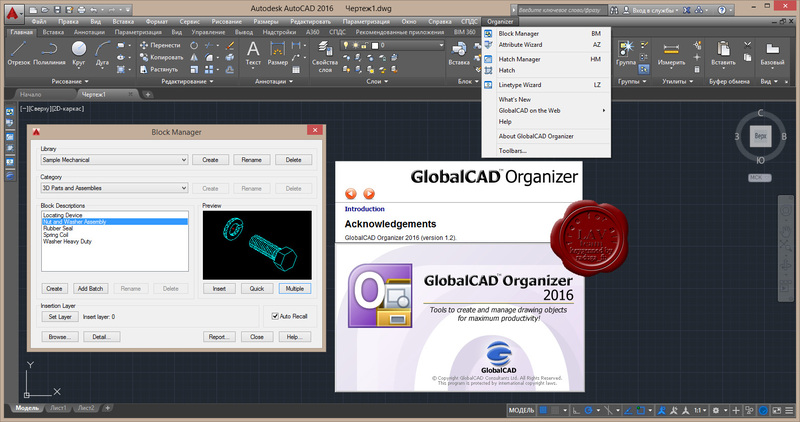 With GlobalCAD Organizer, objects are organized within distinct libraries with advanced viewing capabilities. They can be identified fast and are accessible right when you need them. Management tools ensure the library database is always up to date, with the ability to view and print library content and other details. Objects including blocks and hatch patterns can be contained on local drives or on a network. GlobalCAD Symbols Pack 1 serves the essential needs of architects, land planners and irrigation professionals (2D). 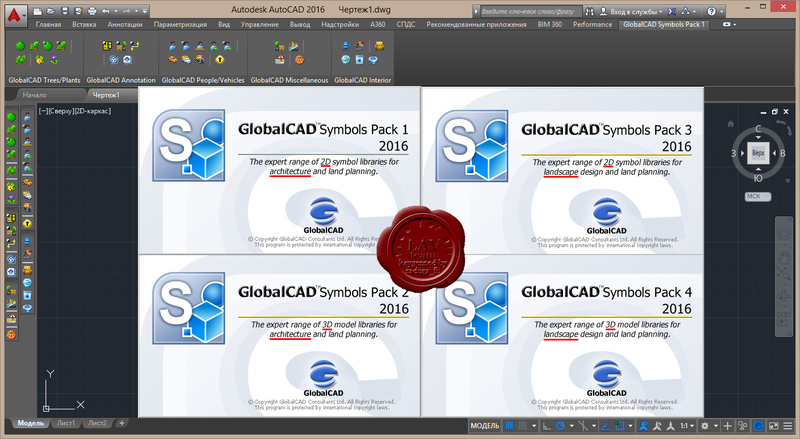 GlobalCAD Symbols Pack 2 serves the essential needs of architects, land planners and irrigation professionals (3D). GlobalCAD Symbols Pack 3 serves the essential needs of landscape designers, land planners and irrigation professionals (2D). GlobalCAD Symbols Pack 4 serves the essential needs of landscape designers, land planners and irrigation professionals (3D). The essential tools in GlobalCAD Terrain make it easy to create accurate and intelligent site surveys and stunning 3D terrain models with a single mouse click. Working with site survey data forms a critical component of any project. Information can be presented as anything from 2D markers to points in 3D space or contours. GlobalCAD Terrain gives you the tools to generate 'intelligent' surveys, either by converting an existing drawing or starting from scratch. Move any intelligent survey point marker and its associated XYZ value automatically updates to suit the new location. 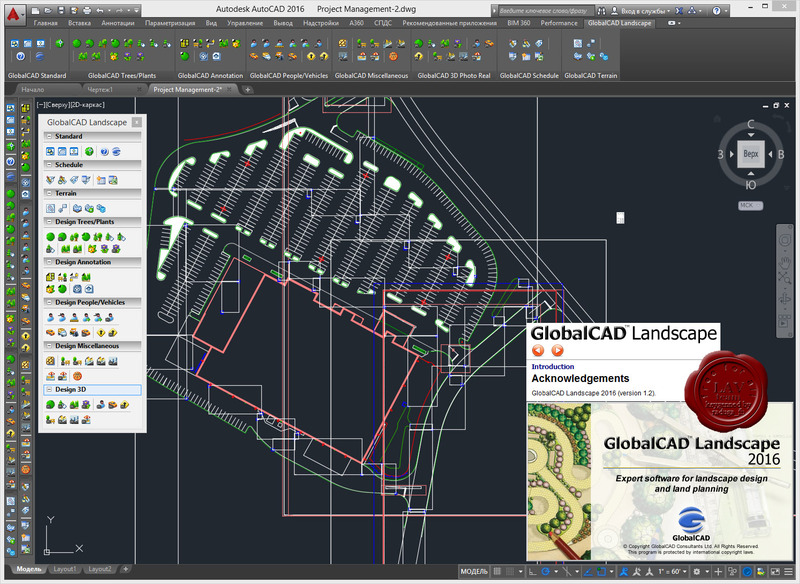 GlobalCAD Landscape is the integrated landscape design solution that simplifies the way you work with AutoCAD 2007-2016 and Bricscad 11-16. In today's competitive environment, GlobalCAD Landscape boosts productivity and helps you deliver winning designs ahead of time. Create extensive libraries containing 2D, 3D and attributed blocks within seconds - with no user intervention necessary. Компания GlobalCAD анонсировала новую версию продукта Architecture 2016 (ex-LandARCH), превосходного решения для архитекторов и ландшафтных дизайнеров, использующих инструменты на базе платформы AutoCAD и, внимание, Bricscad! GlobalCAD Architecture 2016 поможет значительно повысить продуктивность труда перечисленных выше специалистов благодаря превосходному набору инструментов для двухмерного и трехмерного проектирования, наличию встроенного модуля расчета затрат и составления спецификаций материалов (BOM), и механизмов управления проектами. В комплект поставки входит впечатляющая библиотека 3D-моделей, которые могут обрабатываться в приложениях AutoCAD и Bricscad или передаваться для последующего рендеринга в специализированные пакеты, такие, как Viz Render и 3DS Max. 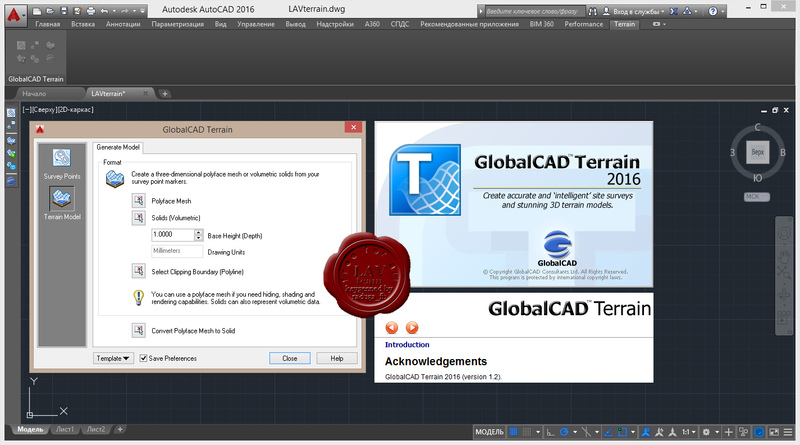 GlobalCAD Architecture 2016 поддерживает версии AutoCAD 2007-2016 и Bricscad 11-16. Toolbox LT is the revolutionary solution that adds 3D modeling and LISP support to AutoCAD LT... and so much more. In today's competitive environment, the spotlight is on productivity and presentation. Companies need design software that ensures them that vital competitive edge. Toolbox LT is the answer, providing the most cost effective solution for extending your design and drafting capabilities with AutoCAD LT.
Now you can design in 3D with solids and surface modeling, generate realistic shaded renders, import and manipulate graphic images and load and run Lisp utilities and ARX applications. Toolbox LT gives you the tools to create and manage drawing objects like never before. Its unique object-authoring suite includes Block Manager, Hatch Manager, Linetype Wizard and Attribute Wizard. Now you can instantly publish intelligent block libraries, stunning hatch patterns and complex linetypes from existing drawing content. Optional one-click drawing schedules and cost estimates are also available. The software also links directly into the AutoCAD/Bricscad Boundary Hatch (Bhatch) dialog, ensuring all your patterns remain fully featured with essential options such as associative, non-associative, edit boundary and pattern re-scaling. With GlobalCAD Hatch Manager, patterns are organized within distinct libraries with advanced viewing capabilities. They can be identified fast and are accessible right when you need them. Management tools ensure the library database is always up to date, with the ability to view and print pattern details and other library information. Patterns can be contained on local drives or on a network. GlobalCAD Schedule provides the effective and reliable solution to all of these issues. Its feature-rich toolset lets you query drawings for block attribute data and save it to a variety of file formats. Unique formatting options mean you can pre-set the style for each spreadsheet and export only the data that's critical to your needs.